Central Board of Secondary Education (CBSE), Delhi has issued notification for CTET September 2016. CBSE will be conducting the Central Teacher Eligibility Test (CTET) 2016 on 18th September 2016. 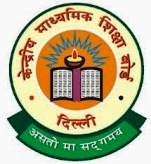 Teacher for Classes VI-VIII (Elementary Stage): Graduation and passed or appearing in final year of 2-year Diploma in Elementary Education (by whatever name known). OR Graduation with at least 50% marks and passed or appearing in 1-year Bachelor in Education (B.Ed). OR Graduation with at least 45% marks and passed or appearing in 1-year Bachelor in Education (B.Ed), in accordance with the NCTE (Recognition Norms and Procedure) Regulations issued from time to time in this regard. OR Senior Secondary (or its equivalent) with at least 50% marks and passed or appearing in final year of 4- year Bachelor in Elementary Education (B.El.Ed). OR Senior Secondary (or its equivalent) with at least 50% marks and passed or appearing in final year of 4- year B.A/B.Sc.Ed or B.A.Ed/B.Sc.Ed. OR Graduation with at least 50% marks and passed or appearing in 1-year B.Ed. (Special Education). Application Fee : Rs.600/- for only paper -I or II (Rs.300/- for SC/ST/PWD candidates) OR Rs.1000/- for both papers (Rs.500/- for SC/ST/PWD candidates) through Debit/Credit Card or download Payment Challan for payment in the designated accounts of Syndicate Bank/ e-Post Office in favour of Secretary, Central Board of Secondary Education, Delhi. How to Apply: Eligible and interested candidates should go through detail notification and The application for CTET - Sept 2016 has been made completely online with the facility to upload latest photograph and signature of the applicant. The particulars will be filled online and the scanned images of latest photograph and signature (in JPG format only) will be uploaded at the time of filling the application form. The candidates are advised to keep the scanned images of latest photograph and signature of the candidates ready in JPG format before applying online by 18th July 2016.